Still in it. Or, not out yet. One. Burning question: Will the Rigby family ever recover from the ignominy of Daughter Rigby acting so shockingly scandalously at her father’s place of employ? In case you’re wondering: This is likely the pearl recipient RR talked about in December. Two. Rudy Gobert is continuing to undergo treatment. ** Alec Burks: I thought it was an and-one. ** Quin Snyder: It was two points the other way in transition defense, ’cause we didn’t get back. 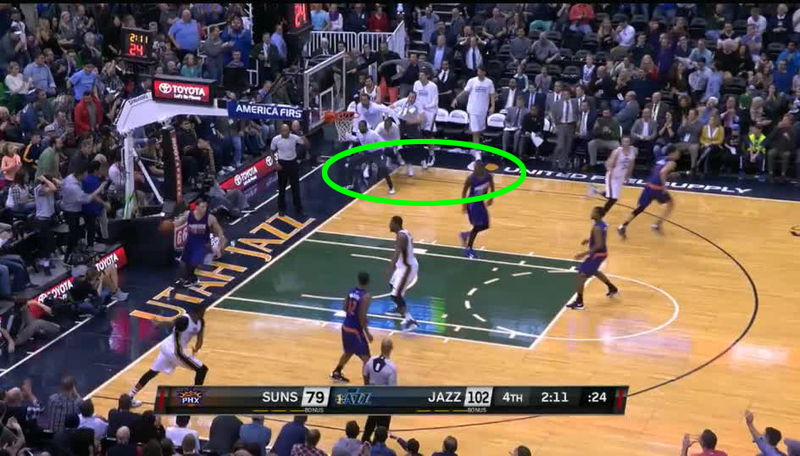 It was overlooked, but the dunk also led to the historic moment when the Jazz managed to have eight players on the floor at the same time (Rodney Hood got back on defense). Four. Joe Ingles, asked how much of the Jazz’s communication issues against the Clippers were due to guys playing with guys they’re not used to playing with*: No. I mean, it, no matter who you’re out there with, it doesn’t, you talk. If you — playing with anyone, it doesn’t really matter. It’s just something that we obviously need to work on. It’s a, it’s been a point of ours and we haven’t got the loudest group in the world, and that’s the way it is, but we can get a lot better through that communication. Eight. Sartorialist of the Week: Rudy Gobert and his bright red pants. Those had to have been custom made, right? Jazz players weighed in on Gobert’s fashion during a pre-game segment this week. ** Rodney Hood: Worst dressed [on the team]? I say Rudy, man. Rudy’s swag is better than the actual clothes he wear. He makes his clothes, I guess you could say. ** Joe Ingles: [Worst dressed is] Rudy Go-burt. Yup. By far. 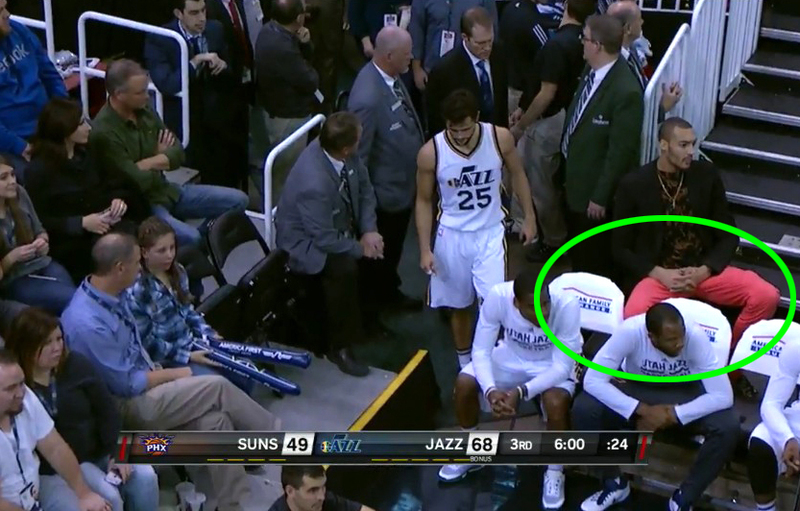 ** Alec Burks: [Worst dressed is] Rudy Gobert, by far…He just can’t find nothing his size. This reminds me of the time Andrei Kirilenko and Kyle Korver took Kyrylo Fesenko clothes shopping at a Big and Tall store because the entire team “was not OK” with Fes’ wardrobe. Good times. Ten. Get well soon, Alec. Considering how often Chris Paul flops I don’t think he has the right to call others out.